The advanced ophthalmic diagnostic equipment is providing the accurate data to healthcare providers and physicians. Growing adoption of advanced diagnostic equipment is rising in developing regions including India, Japan, China, and others. Different manufacturers in the medical equipment market are coming up with numerous technologies for effective diagnostic procedures. 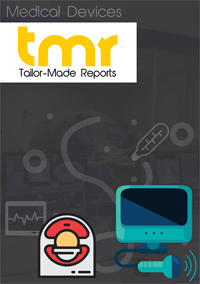 The ophthalmic diagnostic devices market report is wished-for helping the readers for discovering the prevailing trends and estimate future opportunities for extensive growth. It includes fresh data for tracing growth opportunities and key threats. It includes the information on competitive threat in an important part of the ophthalmic diagnostic devices market report. The reports also analyze the revenue share, growth rate, status, market drivers, future trends, opportunities, and challenges. The growing prevalence of ophthalmic diseases including diabetic retinopathy, AMD, retinitis pigmentosa, uveitis, keratoconus, cataracts, and conjunctivitis is creating need for the advanced ophthalmic diagnostics. This is boosting the adoption of POCs for testing in ophthalmology and that allows ophthalmologists for obtaining immediate results. Thus, the increase in the popularity of POC testing mainly in the ophthalmology diagnosis, is one of the critical factors which is propelling growth of the ophthalmic diagnostic devices market. POC testing is applicable for the early detection and accurate diagnosis of ophthalmic diseases. Its features such as less time-consumption and affordable in comparison with the traditional methods is widening its applications and boosting growth of the market. Growing prevalence of ocular defects and diseases is creating need for POC diagnosis and fuelling growth of the global ophthalmic diagnostics devices market. The global ophthalmic diagnostic devices market could be segmented on the basis of product in to OCT, Fundus camera, Perimeters, and Biometers. Of these, the OCT segment is expected to be the leading segment and is expected to dominate the market by accounting largest share in the global ophthalmic diagnostic devices market. The report offer contribution of the other segments in the revenue of the global ophthalmic diagnostic devices market. Regionally, the ophthalmic diagnostic devices market could be segmented into North America, Europe, Asia Pacific, Latin America, and the Middle East & Africa. Of these, North America is expected to be dominant region in terms of demand, revenue, and consumption over the forecast period. The developing countries in the Asia Pacific region are driving growth of the ophthalmic diagnostic devices market. Some of the leading companies operating in the global ophthalmic diagnostic devices market are AMETEK, Optovue, HAAG-STREIT, Carl Zeiss Meditec, NIDEK, and TOPCON. Companies in the market are increasingly focusing on advancements of ophthalmic technology for enanced diagnostic outcomes and results.